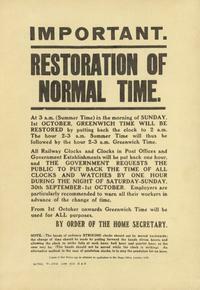 2007 marked 100 years since British Summer Time was first proposed. 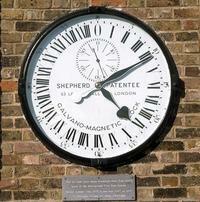 Changing the clocks for summer time is now an annual ritual in Britain and countries around the world. But why change the clocks, which way should they go, and whose idea was it in the first place? The idea of British Summer Time (BST), also known as Daylight Saving Time, was first proposed by a keen horse-rider, William Willett, who was incensed at the 'waste' of useful daylight first thing in the morning, during summer. Though the sun had been up for hours during his rides through the local woods in Chislehurst and Petts Wood, people were still asleep in bed. In 1907 he published a pamphlet called The Waste of Daylight, outlining plans to encourage people out of bed earlier in summer by changing the time on the nation’s clocks. He spent the rest of his life fighting to get acceptance of his time-shifting scheme. He died in 1915 with the Government still refusing to back BST. But the following year, Germany introduced the system. Britain followed in May 1916, and we have been 'changing the clocks' ever since. Britain first adopted William Willett's Daylight Saving Time scheme in 1916, a few weeks after Germany. For years, the British Government had refused to introduce Daylight Saving Time, but by then, Britain and Germany were fighting each other in the First World War (1914-18), and any system that could save fuel and money was worth trying. The Summer Time Act of 1916 was quickly passed by Parliament and the first day of British Summer Time, 21 May 1916, was widely reported in the press. William Willett, the original architect of the Summer Time scheme, died in 1915. By the 1920s, however, he was becoming a posthumous hero, as more and more people backed his daylight-saving plan. Public money was raised to buy and preserve Petts Wood. This was partly to act as a living memorial to Willett, but mostly as local residents wanted to prevent building development encroaching on their green spaces. 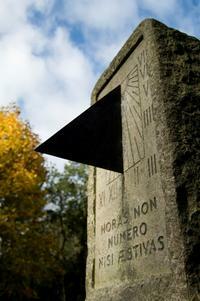 A sundial – keeping British Summer Time, not Greenwich Mean Time – was erected there in a clearing. Willett had become an icon of daylight. A portrait was painted; a bronze bust was sculpted; a pub was named in his memory, and in 1931 a wax figure was unveiled at Madame Tussaud’s in London. But not everybody had come round to Willett's way of thinking: over the subsequent years, dissenting voices were heard. Within a few years of its introduction, most countries reasonably north or south of the equator had adopted Daylight Saving Time. But it has been controversial since the day William Willett first proposed it back in 1907, following his rural rides through Petts Wood. After a century of daylight saving, we still cannot agree on whether it is a good thing or not. When proposals to extend the system are occasionally made in Parliament, protest soon comes from those affected by its disadvantages. Daylight Saving Time tries to treat a complex network of symptoms with one solution. But not everybody sees it as a cure. So the debate continues.